Flowering - May - December. Habitat - Disturbed sites, waste ground, roadsides, lawns. Origin - Native to the Mascarene Islands. 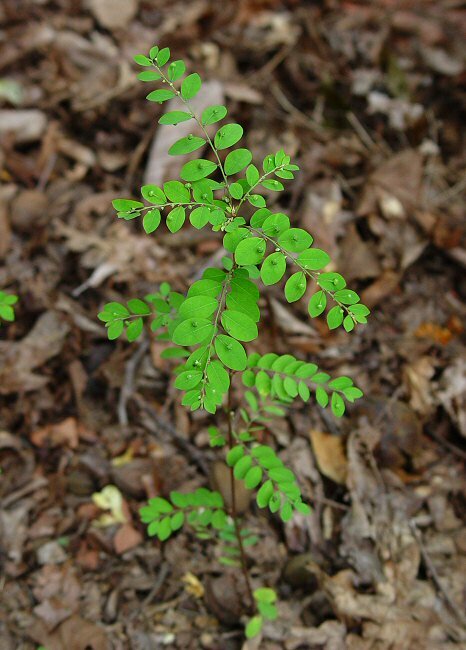 Other information - This weedy species can be found scattered throughout the southern half of Alabama and is certainly more common than has been reported. 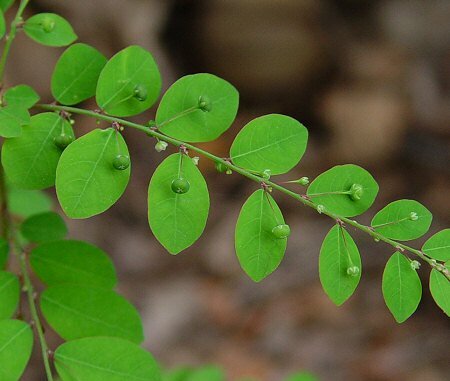 The plant is easy to identify because of its closely-spaced alternating leaves, and its long-pediceled fruits. 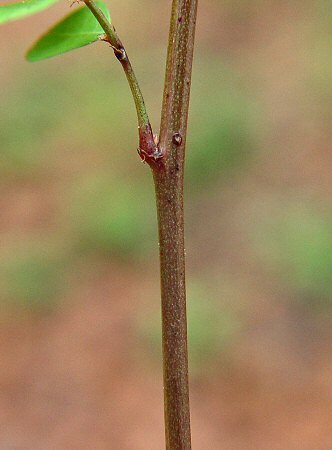 The plants somewhat resemble seedling trees. 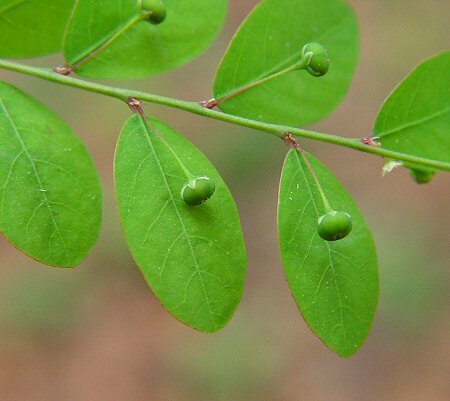 The genus name Phyllanthus derives from the Greek "phyll" meaning "a leaf" and "anthus" meaning "a flower." 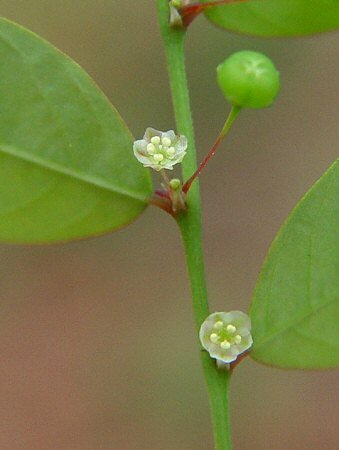 The flowers in some species arise from leaf-like branches. The species epithet tenellus derives from the Latin "tener" meaning "soft, delicate" referring to the general habit of the plant. Photographs taken off Lee Rd 54, Lee County, AL., 9-10-04.